BASTROP – The United States Army Special Operation Command is planning to train in counties and towns across the Western United States. “Jade Helm” is a two-month long exercise with a combination of elite military forces designed offer realistic military training. How bad will it get if the United States Congress does not reverse the Budget Control Act, the foundation of sequestration? dismissed congressional objections to purchase military helicopters from Russia. It’s been said that the only element left keeping the Assad regime propped up is the Syrian air force. Therefore, we now know a possible key indicator of when Assad will escalate the situation into a regional-wide war: When it’s on its last leg. Should this prove to be true, then these are either gifts, or every electronic component of US drones is compromised. Take your pick. 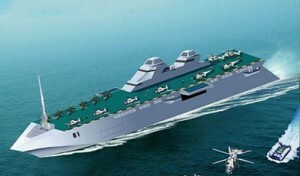 For the first time, a PLA Navy official has confirmed that China is building large amphibious assault ships similar to those currently operated by the U.S. Navy. The comments Tuesday from Admiral Habibollah Sayyari on state TV are part of Iran’s response to Washington’s beefed up naval presence in the Persian Gulf. In a statement on Aug. 28, the Pentagon did not specify the development for Israel’s JSF. But the statement provided the first indication that the aircraft ordered by Israel could contain features not found in the off-the-shelf model of the fifth generation aircraft. In July, Israel and the United States were said to have agreed on the integration of Israeli-origin subsystems in JSF. The agreement envisioned the installation of Israeli electronic warfare and communications systems in a configuration that would eventually be made available to other JSF clients. MOSCOW — A group of Russian armed forces will take part in the military drills with Canada to be held next Monday in North America, a military official said Saturday. The Watchful Eagle-2012 anti-terrorism exercise, slated for August 27 to August 29, will take place in the United States and Canada. The First Group of Russian forces, including air force officials from the Eastern Military District, have left Moscow and would join works at the Colorado headquarters in the US, military spokesman Alexander Gordeyev told Interfax news agency. The second delegation would engage in works at the backup headquarters in Alaska, according to Gordeyev. The Russian delegation would also visit the US Air Force Academy in Colorado Springs at the invitation of US officials, Gordeyev said. Convinced that the Syrian ruler would never allow himself to be pushed into accepting UN intervention, the Americans continue to keep limited military intervention on the table. They will let it simmer there until the Six-Power nuclear talks with Iran beginning Saturday, April 14, in Istanbul are well under way, so as not to give Tehran pretexts for toughening its bargaining position or pulling out of the negotiations. Turkey too is moving closer than ever before to real military action, not just empty words. Armed Turkish assault helicopters flew Tuesday over the Syrian border. They were there to warn Damascus that if Syrian soldiers again fired across the border into Syrian refugee camps as they did Monday, April 9, they would be targeted by the Turkish gunships.